Mother's Day is one of those special days of the year that seems to fall on a different day depending on where you are in the world! Here in the UK our Mothers Day was celebrated in March, however if you live in Australia, Canada, Germany all the way to Kenya and Zimbabwe, you still have a few weeks yet in time to buy your mum a present for Mother's Day. If you celebrate Mothers Day later in the year and are looking to send your Mum a gift for Mother's Day, you have came to the right place. We have a great selection of handpicked flowers in our International Mother's Day Range which we feel are perfect as an extra treat for Mum. 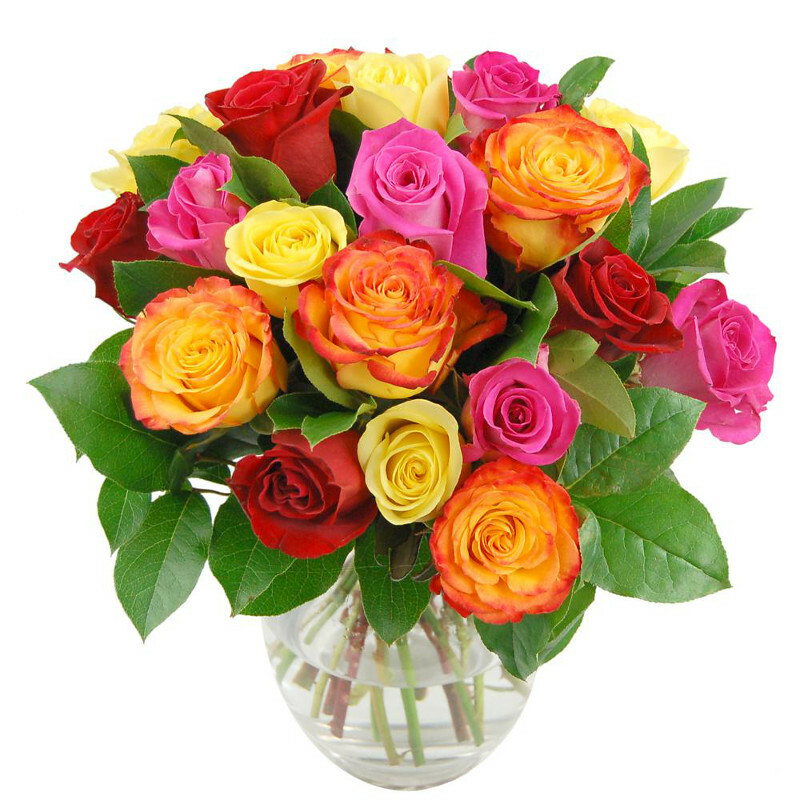 This gorgeous bouquet of high quality mixed roses will be a delightful gift for mum. Featuring a mixture of yellow, orange, pink and red roses upon a green leaf backdrop, this Mothers Day Rose Bouquet is sure to impress. With a name like Rainbow Roses, it's one of our popular Flowers around the Spring months, and is sure to brighten up your Mum's day. A modern classic, our Pink Affection basket has been lovingly designed with a warm combination of pink and greens. 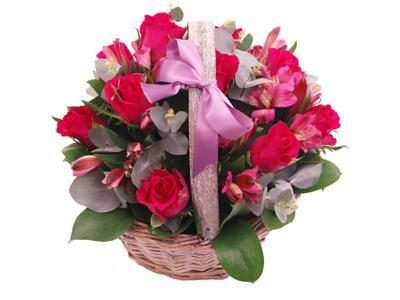 Featuring a mixture of fresh cerise Roses and pink Alstroemeria flowers, this basket is an ideal gift for your Mum to show how much you care. The flowers are contained within a charming basket that gives it a charming appeal, and allows your mum to easily place it around the home. The Luxury Pink Bouquet has been designed by or florists as a fantastic gift for your Mum this International mother's Day. 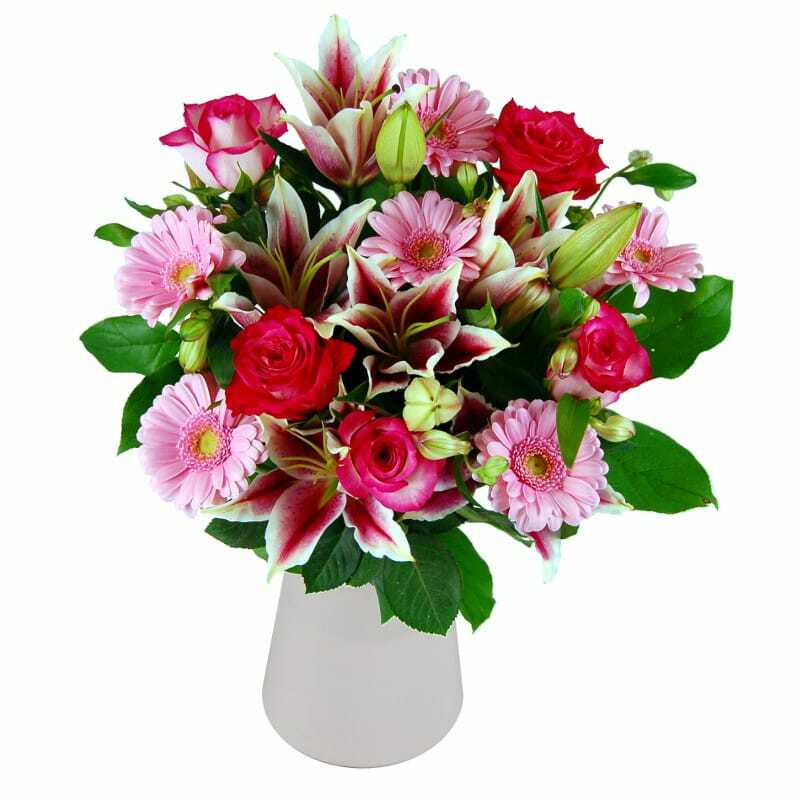 Featuring sweet pink roses, pretty pink eustoma, gorgeous fragrant oriental lilies and long lasting pink carnations. This gorgeous bouquet is the perfect gift to send Mum, and will be a stunning addition to her home.